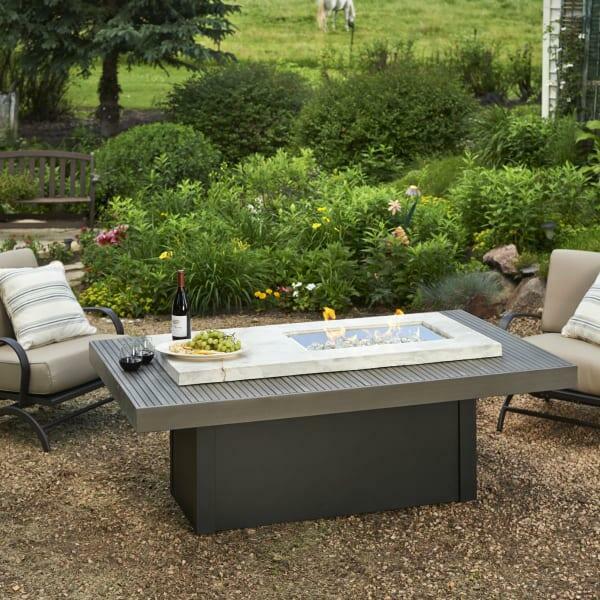 The Boardwalk Fire Pit Table is an urban-inspired sleek option from the Outdoor GreatRoom selection of outdoor fire pits. The base is made with metal that is powder coated to protect it from wear and tear caused by outdoor placement. The top is two-layered and features the thrilling white marble onyx. All of the components are UL-listed as an emblem of their safety and superior resistance to outdoor placement. The bottom cabinet opens to protect and hide a propane tank and other necessities. The Boardwalk Fire Pit Table may run on liquid propane tanks or natural gas. The Boardwalk comes with all of the necessary equipment to make the switch from propane fuel to natural gas and back again in your backyard. The top features space that can be used as a chat-height countertop, as well as open flame that gives of up to 60,000 BTUs of heat. 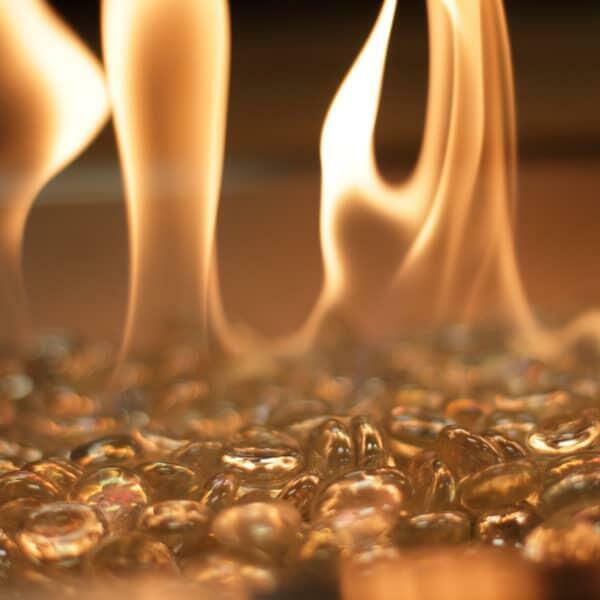 An electric igniter and an adjustable flame system control the flame throughout your use. Enjoy the freedom that an electric fire pit table offers!